Chevron beach bag tote. This year's favorite pattern, chevron. Lightweight, easy care fabric. Just the right size for and individual to carry to work or around town. Constructed of a micro fiber with two outside open pockets... one mesh for water bottle and one for keys or cell phone. Inside is lined with web handles. 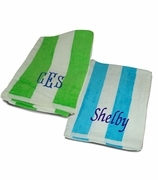 Add personalization with name, single or three letter monogram. 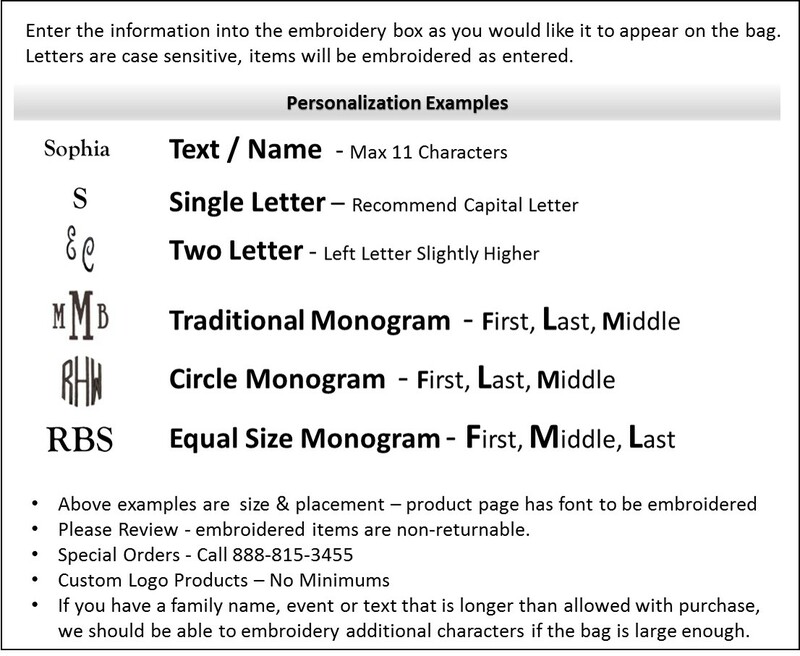 Personalized chevron bag tote measures 17"W x 14"H x 4.5" across bottom. Zipper closure.